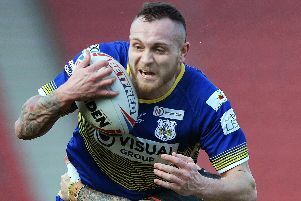 Doncaster RLFC boosted their Betfred League One promotion play-off hopes when climbing into fourth place. The Dons exchanged places with Oldham, defeated at Newcastle, after beating Whitehaven 23-14 at the Recreation Ground. The Dons had travelled up to Cumbria the previous day and assistant coach Pete Green judged it money well spent. “It’s the first time we’ve beaten them at home for a long time and I felt the relaxed preparation helped,” he said. “We knew it was going to be a tough game but we made it tough for ourselves at times and it wasn’t one of our best performances [in our six-match unbeaten run] but we got the job done. The Dons snatched a 16‑10 lead at the end of a closely-fought first half following a converted try on the hooter. “Obviously it was a massive score but I don’t think it affected the interval team talk because we knew the areas where we had to tidy up the second half and that didn’t change,” said Green. “Although they got back to within three points of us in the last 10 minutes, and you are always concerned in those situations because the game can go either way, we always felt comfortable. “We never thought that they were going to score a long-range try. They were only really dangerous close to our line. “Even though they were big and physical and knew how important the game was, I thought we won the energy battle down the middle,” he added.